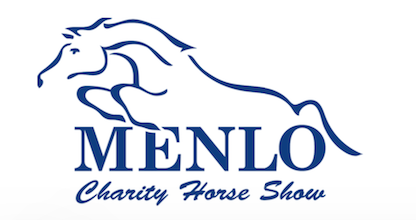 Lexington, KY – October 30, 2013 – When $50,000 is up for grabs it brings out the best horses and riders in the world, putting their best foot forward. That is how the Open Jumper division at the 2013 Alltech National Horse Show kicked off today. Todd Minikus and Quality Girl left nothing to chance as they sped around Conrad Homfeld’s challenging track, besting the field by two seconds to win the Taylor Harris $50,000 Open Jumper Welcome Speed, presented by Sasco Creek. 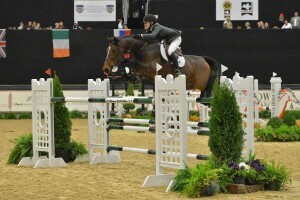 The second place award went to 17-year-old phenom Lillie Keenan, giving the professionals a run for their money. 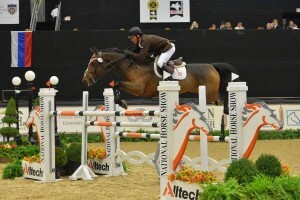 Olympian McLain Ward set the target to beat as the third rider on course. He and Zander, owned by Ward and Grant Road Partners of Brewster, NY, zipped around the turns and left all the rails intact, posting a time of 60.23 seconds, which held up for fifth place. Ireland’s Shane Sweetnam bested Ward’s time by 1/10th of a second six rounds later aboard Cyklon 1083, owned by Spy Coast Farm of East Setauket, NY. Leaving strides out and shaving off edges of the turn, it looked like it could be the winning round early in the class. Keenan attempted to beat it with her first mount Pumped Up Kicks, owned by Chansonette Farm of New York, NY, but fell just shy of the leaders with a time of 60.92 seconds, which eventually claimed sixth place. 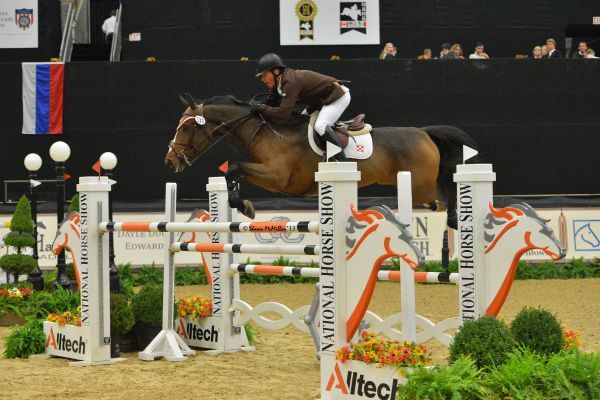 When Todd Minikus entered the Alltech Arena with Chris Brems’ Quality Girl mid-way through the event, the whole class changed. He and the winning mare put on the gas and never held off, slicing fences and taking all the inside options, while utilizing her huge stride to quickly navigate the track. The duo blazed across the finish line in 57.70 seconds, leaving Sweetnam and Ward in the dust and claiming a commanding lead. Francois Mathy of Belgium made a solid effort with Team Harmony’s Plinska Des Isles, but it was not good enough. Although they never touched a fence, Mathy and Plinska Des Isles broke the beam at 59.96 seconds, which would only be good enough for third. Mathy’s time was beat by a rider still making her way into the professional ranks. 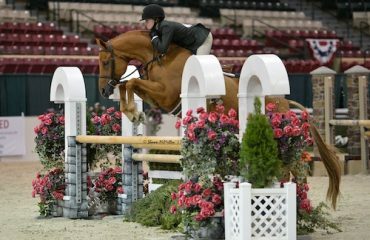 Lillie Keenan won the 2013 North American Junior and Young Rider Championships Individual and Team Show Jumping Gold Medal, as well as the USEF Junior Jumper Individual Championship with Londinium, and tonight she showed that they are more than ready for the Open Jumper divisions. 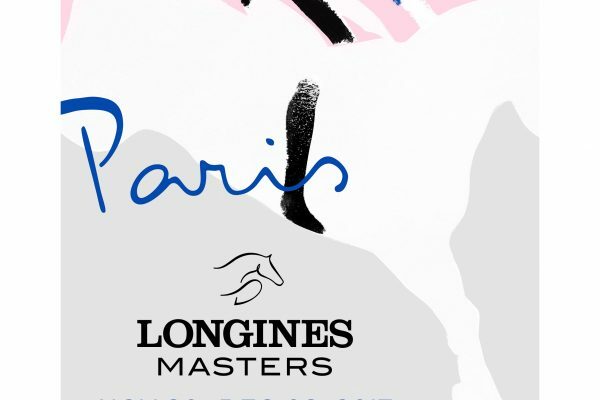 Despite a member of the jump crew standing in the way of one of the oxers as she galloped over the track, Keenan showcased skill and style far beyond her years, navigating the course in a speedy 59.44 second to capture the second place ribbon behind Minikus. 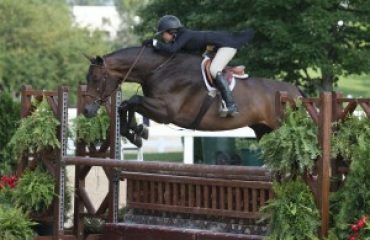 Minikus and Quality Girl placed second in the Pfizer Million Grand Prix at HITS-on-the-Hudson, and have been consistent throughout the summer, but the mare is still new to competing indoors. 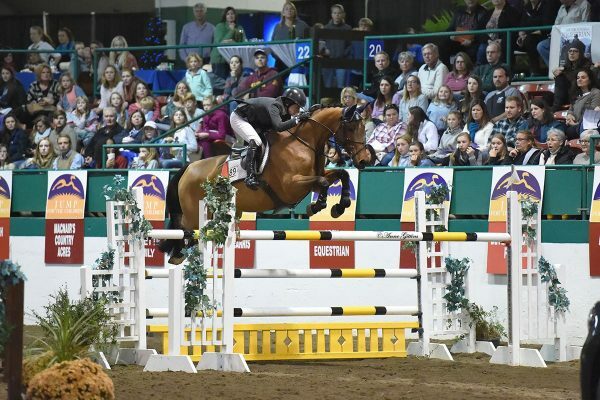 The highly popular SSG Riding Gloves ‘Go Clean for the Green’ promotion kicked off this evening with a $3,000 bonus for Minikus, who was wearing the leading riding gloves during his winning round. 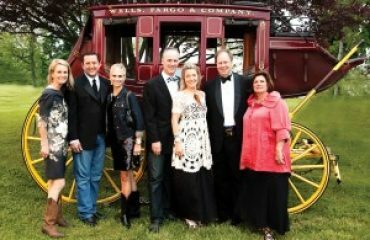 The 2013 Alltech National Horse Show, 130th edition, will continue tomorrow with the Double H Farm $100,000 Open Jumper class in the evening. 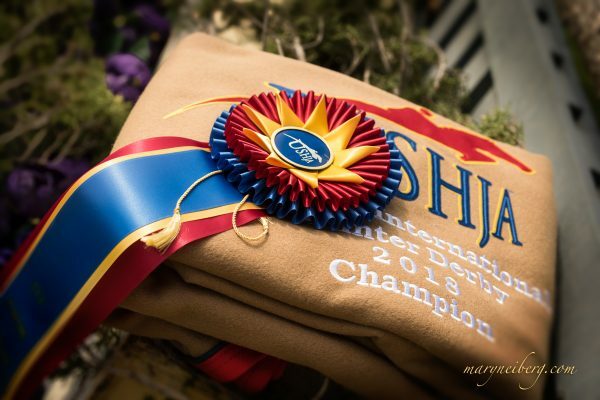 Earlier in the day, the junior and amateur riders will have the opportunity to showcase their skills during the Deeridge Farm $10,000 Junior Jumper class and the Chansonette Farm $10,000 Amateur-Owner Jumper class. 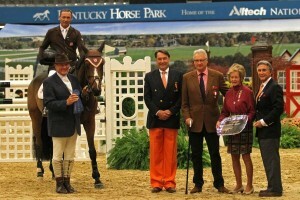 The highlight event will be Saturday night’s Alltech $250,000 World Cup Qualifying Grand Prix presented by Lifeforce. 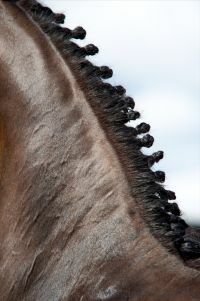 For more information or to view the competition live please visit www.alltechnationalhorseshow.com. Coverage is provided by Shownet.biz, iHigh, and HRTV.